Share this product and receive a $2.95 sharing discount. 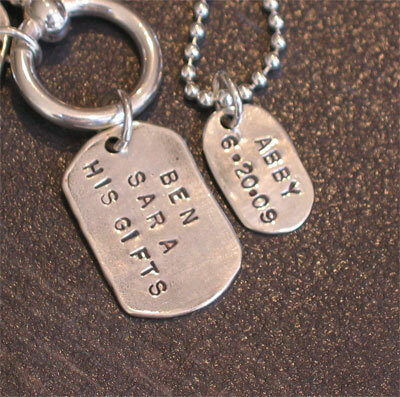 This customized myGodTag can be purchased to complement the regular scripture God Tags. This large tag will hold up to 9 letters on four lines. Any of the lines can be a date (eg. 01.04.09). The first three lines are generally used for a first and middle name, but can be used for a phrase such as 'God Loves', 'awesome', or 'keep pure', etc. All four lines could be the names of your four children! Spaces do count as characters. The large tag will hold 4 lines of characters. Stamping is in CAPITAL letters only. Made of sterling silver. Large tag dimensions: approx 7/8" long and 5/8" wide. THIS IS THE SAME SIZE AS THE PRESTAMPED SCRIPTURE TAGS. Customized tags will take up to 10 business days for delivery from date of order. LARGE & SMALL TAG SHOWN IN PHOTO. CHAIN IS NOT INCLUDED IN ORIGINAL PRICE. 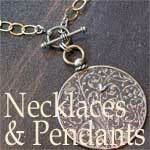 YOU MUST SELECT CHAIN/CORD FROM ABOVE IF YOU WOULD LIKE TO RECEIVE ONE.